My ice cream journey continues with a more interesting way to make ice cream using liquid nitrogen. 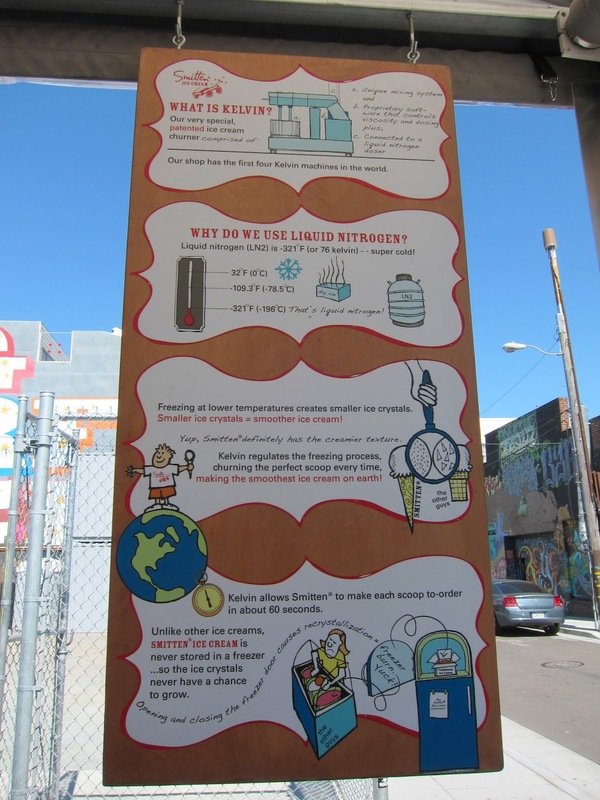 Smitten is a cool little shop in a cool neighborhood of SF, Hayes Valley. I’ll let the pictures do the talking. They use only fresh, all natural ingredients. 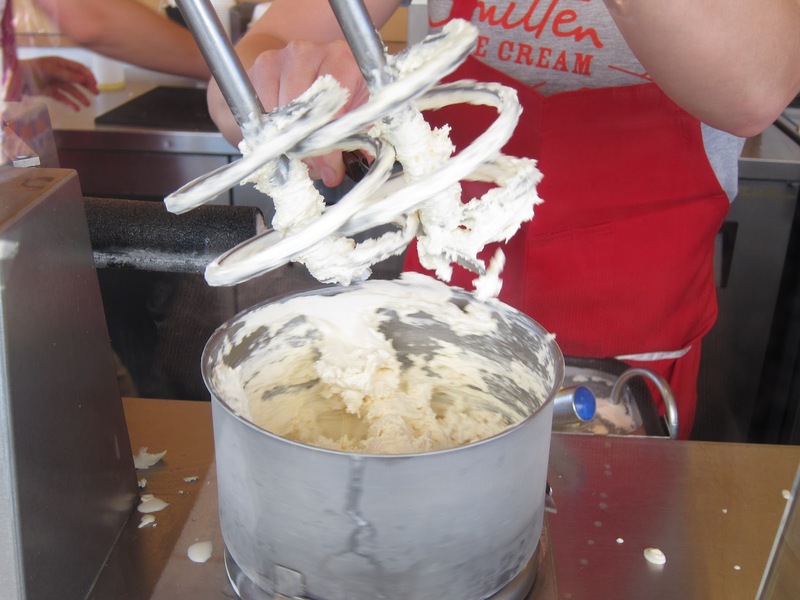 Making ice cream this way apparently results in a creamier, smoother ice cream because they are able to minimize the all time evil enemy of ice cream, ice crystals. Trust me, I know this formidable foe well as I have not been able to defeat him during my own ice cream making endeavours. The shop itself is really cute and shiny. I’m such a sucker for clean and new. 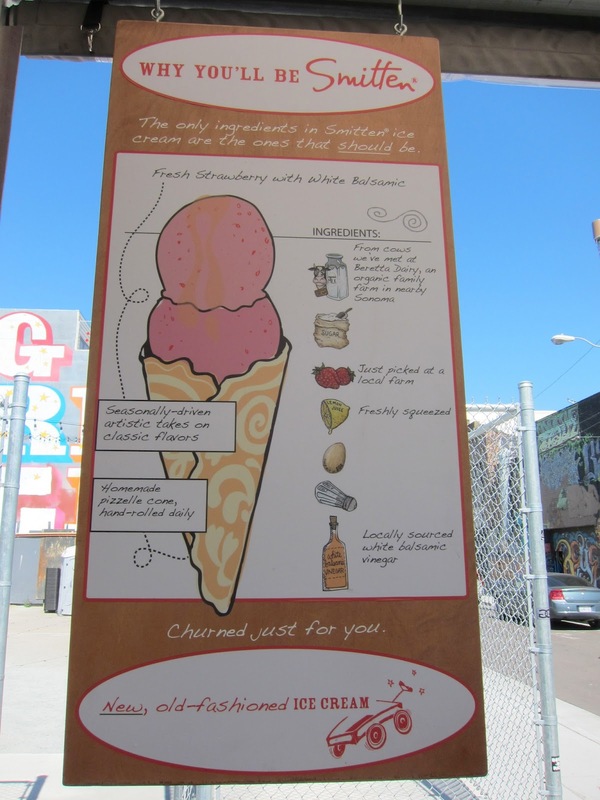 So the flavors are sort of limited as they do make your ice cream on the spot. They start with the custard base and stir in liquid nitrogen while mixing. What results is a very very soft ice cream. Weeners and I were very hesistant to go with the special since it sounded so strange. I mean, bay leaf?? The herbiness was very subtle but actually quite interesting. Even better was the meyer lemon caramel. It was sweet and slightly tangy at the same time. These days, it seems like a salty sweet caramel can be found anywhere so I thought their concoction was unique. Overall the ice cream and topping were very nice. The ice cream definitely tasted very rich and creamy. I think we actually liked the previous flavor better. 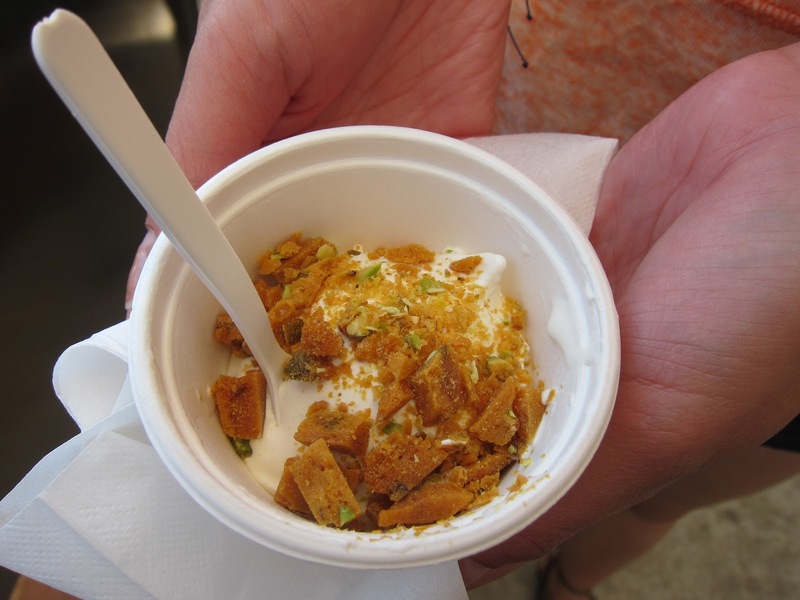 The pistachio brittle was nice and different than your standard peanut or almond brittle. Look at Weeners present the ice cream, almost like a real hand model! Haha. So I’m a big stickler about ice cream texture. Not too dense, not too melty, not too creamy, etc etc. 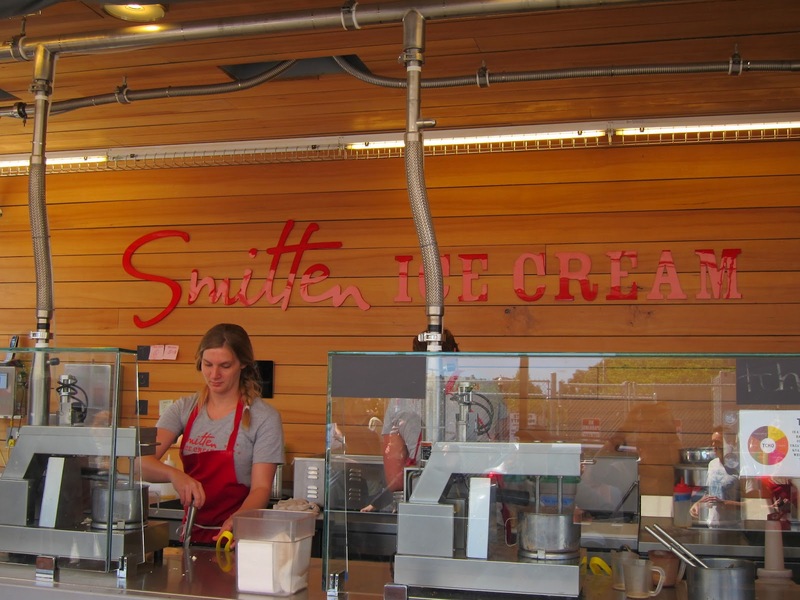 I think the #1 complaint about Smitten is that the ice cream is basically melting right after its scooped. And for those who know anything about ice cream, that’s just how it’s going to be if it’s made to order. The only way to get ice cream to that solid texture we all know and love is to freeze it for a few hours first. 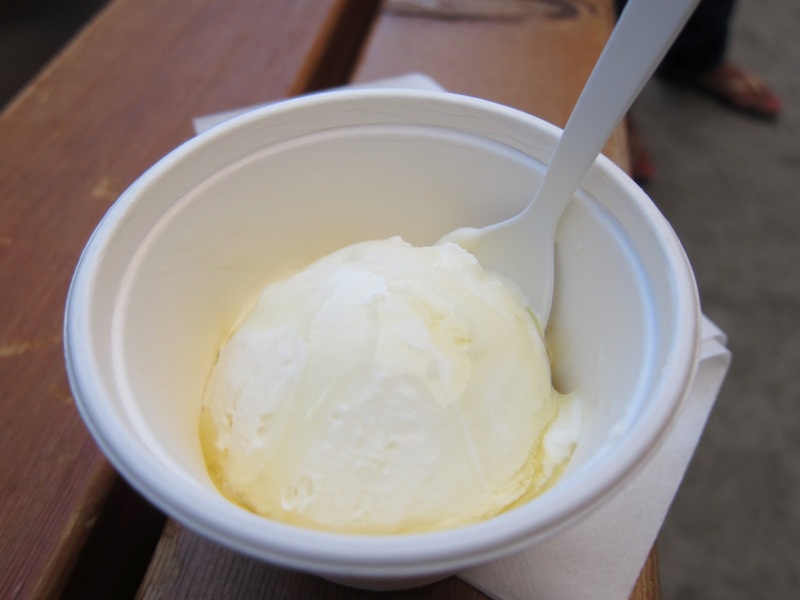 The ice cream is extremely pricey too at $4-5 for a single scoop. So simply because it’s too melty and pricey I don’t think I’d return. But it’s fun to see them make it and try it out once.